The Qlikview Bundle Load allows you to associate an image or sound with an actual field selection. As I mentioned above, this can be useful for aesthetics, adding a nice visual touch when a user selects a field value filter from a list box. In the example I’m going to show you below, I will demonstrate how to bring images for each NFL team into a Qlikview application, associating each with the selection of the team in a list box. The image will then appear in a Text Object, which dynamically changes based on the NFL team selected. Setup a folder to store your images. In my example, I have created the folder “C:\NFL Images\”, and have placed all 32 of my image files into this location (I chose to use the JPEG image .jpg). Then, create an Excel file that looks like the following, and save it to the same location. Make sure the field names include an association to an existing table. 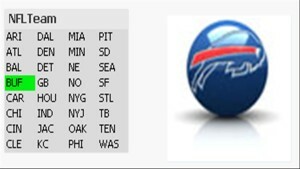 In my case, I have “NFLTeam”, which will be associated to another table field. This is important so you can establish the association when a user selects this field value filter from a list box in the application. Once you have completed the script, RELOAD the application. 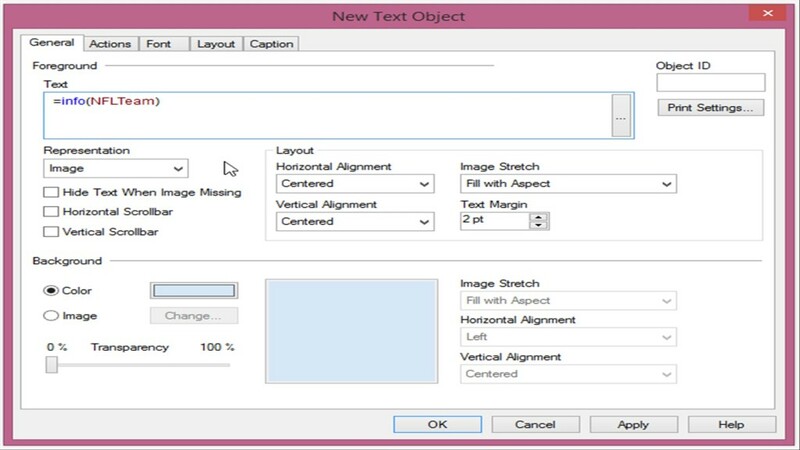 Now we are ready to display the images in a Text Object. First, setup the list box you would like the user to filter on. 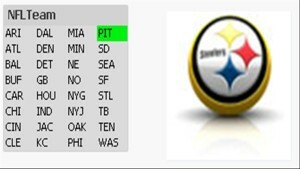 In my example, I have a list box setup for the field “NFLTeam”. 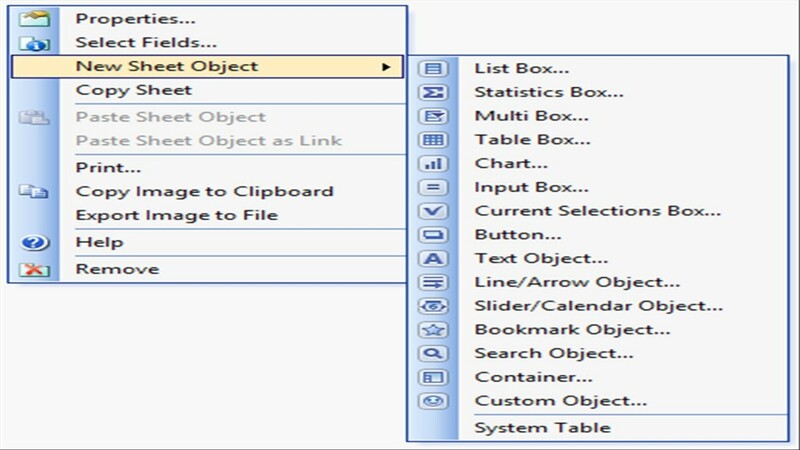 Next to the list box, add a new Text Box object. That should do it! 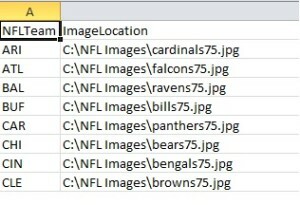 When a user makes a selection in the list box for NFLTeam, the text object will now display the image you associated with the value for NFLTeam. As you can see, implementing a Bundle Load is not very difficult, once you have all the images organized and stored in the proper location. This is also a great way to add a nice visual touch to your Qlikview application. Given how easy it is to setup, I’m sure you can come up with many ways to implement this functionality.